In spite of the rain on loading day, over 20 folk turned out to help load FCL 76. A lead-lined x-ray room door, a maternity delivery bed, 2 wheelchairs and several bicycles were among the items loaded along with almost 1.000 boxes of clothes, toys, bedding, hospital supplies, books and educational supplies. Robin finally closed the doors and, with a prayer and blessing, FCL 76 was sent off to Malawi. Less than 24 hours later, the container was sailing off down the Clyde on the next stage of its journey. Our grateful thanks go to all who gathered the items sent, labelled and listed them, loaded them and supplied the loaders with food and hot drinks to keep them going. 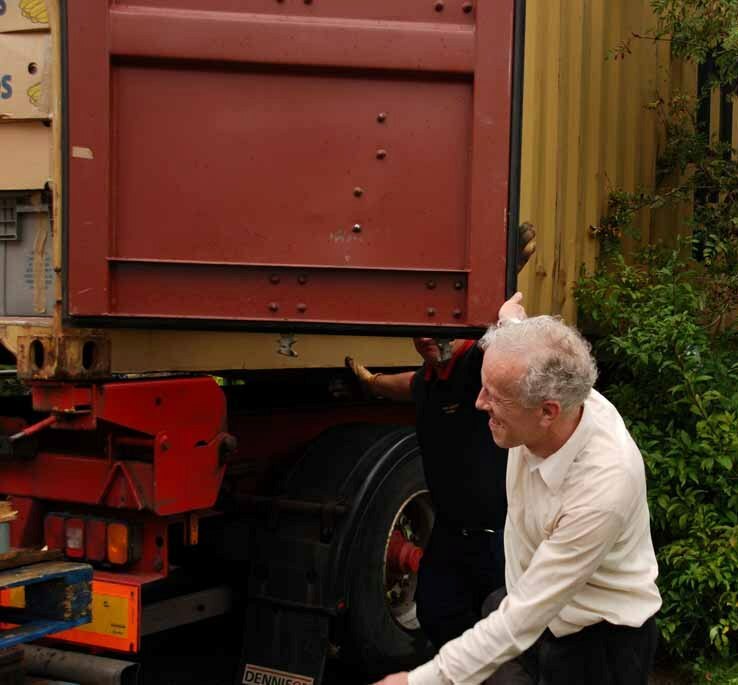 Bon voyage FCL 76 – may your contents make a difference to the lives of those to whom they are sent in Malawi. The Mlowe Clinic is basically what we in the UK know as a ‘cottage hospital’. It is under the management of the major hospital at Livingstonia. Mlowe provides basic outpatient, maternity, HIV/Aid’s and emergency services to the local community. Beyond Mlowe the communities of Tcharo and Zunga are reached by boat so the Mlowe Clinic provides a ‘stop over’ for patients on route to Livingstonia. Some patients are treated at Mlowe such as malaria cases. It has a resident Clinical Officer and Matron as well as other staff to support the various services undertaken. 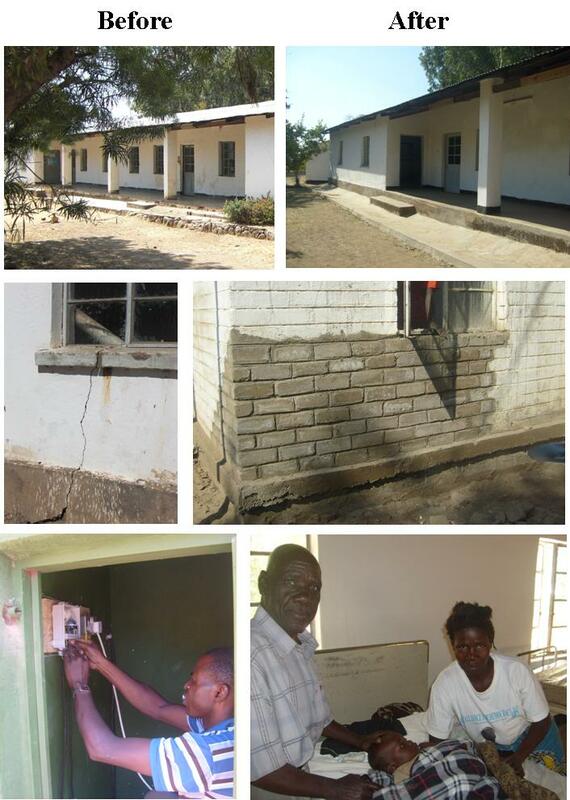 Work has progressed well on repairing and maintenance of the Clinic. The roof and rain water ways have been repaired. Electric lights installed into the Nutrition Unit and all electrical fittings replaced throughout the clinic which where damaged or not working. Water is currently being piped into the staff houses from a revitalized bore-hole system and the whole clinic given a coat of paint.